Facebook Cash Bandit - Steal Cheap Clicks and Drive Buyers to Offers! 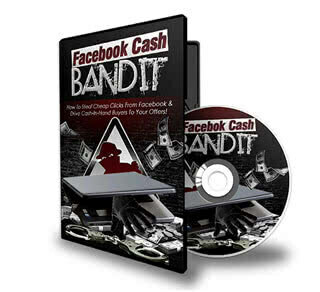 Discover step by step how to steal cheap clicks and sales using the power of facebook with the 10 part facebook cash bandit video course. Reach More Customers, Drive Sales and Get Results With Facebook’s Powerful “All-In-One” Business Platform! This Complete Video Training & Action Guide Reveals How To Build Your Business & Increase Profits With The Incredibly Powerful Facebook Ads System, So You Can Find The Right Buyers For Your Offers, Gain More Customers And Achieve Your Goals! 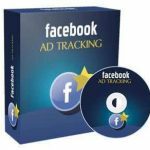 The complete system to getting traffic & making money with Facebook Business Ads step by step! Learn what Facebook Business ads is all about, so you can gain an accurate and complete understanding before you get started. How to choose a profitable niche and find products people WANT to buy! How to create your Facebook business page to target a specific audience and build a strong brand. The different types of Facebook business ads you can create and how to make them stand out to achieve the greatest results! Advanced targeting methods to attract the perfect buyers for your offers! Quick & easy techniques to create amazing ad copy that converts and devise a smart & profitable marketing strategy! Step-by-step video walkthrough of how to create an outstanding Facebook page to tie everything together, build your brand and reach more customers! My sales “hijack” strategy for using Facebook re-marketing to target previous visitors and close more sales! Exactly what makes a profitable ad campaign to reduce costs and increase sales, plus how to use the “Facebook Ad Manager” to get better results. Proven “bidding & budget” strategies to meet your ad objectives and find people who are ready to take action! How to effectively test & track the performance of your campaigns and take your Facebook marketing to the next level! PLUS BONUS VIDEO WORKSHOP – Easy “Copy & Paste” Method To Generate Quick Cash From Facebook In Your Spare Time! This is a high profit training that outlines a detailed action plan to getting traffic and making money with Facebook quickly and easily! This course is for anyone who wants to maximize their income and build a profitable business. 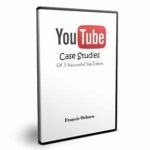 This is a complete 10-module video series + 60 page action guide that walks you step-by-step through everything you need to get traffic & sales instantly and make money online right now! Just click the button below, and you’ll get access to the entire Facebook Cash Bandit Video Series & Action Guide revealing all of the above and more! Extras: eBook, Emails, Graphics, Salespage, Squeeze Page.